Going back again to the beginning of the Pursuit of Cobra line, I was very impressed that Hasbro was taking familiar characters in new design directions. Consider the original Firefly, one of the least fantastically attired and equipped Cobras of the 80s. As a saboteur, his look and his modus operandi were simple. Armed with explosives and other basic tools of his trade, he looked like he could have stepped off a battlefield forty years earlier. His most advanced piece of hardware was his field phone. Fast forward to 2010, and Firefly was updated with a sci-future edge that hadn’t been seen with this character before. He’d had updates in the 1990s and 2000s, but most were upgrades like body armor and newer weaponry. This Firefly has modular body armor, advanced explosives, and a bevy of the latest weapons and gadgets. He even had his own specific helmet, a super looking number that calls to mind a comic book world as much as it does GI Joe. This is Firefly as high-tech super villain, and I like the concept. Can you tell just at a glance that this is Firefly? I suppose, to an extent, if you consider the color, and the masked head. But if this figure were repainted in another hue, you’d be hard pressed to see much of the old character. There’s nothing wrong with that. In fact, the design detours that the Pursuit of Cobra took were welcome ones, at least to me. I was hoping at the time that Hasbro was at least attempting to make GI Joe something fresh again. 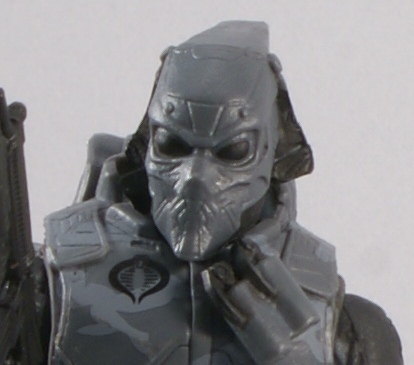 The Pursuit of Cobra felt to me like GI Joe was returning to its roots as a toy first. Though the reinterpretations continued in the coming years, straight-up homages also made their way into subsequent lines, and into the Collector s Club offerings. Now we’re faced with more and more recreations of older figures in the modern style which, though amazingly detailed and thoroughly poseable, sometimes leave me cold. I understand the wishes of many collectors to get all their old favorites that “fit in” with the modern style, but I miss innovation and freshness. Such is the increasingly stagnant state of the union of modern GI Joe. An interesting looking figure I’d like to track down one day. Both heads are interesting but I particularly like that Predator-style helmet. The more i read about these P.O.C figures, the more i like them. It makes me so mad that it wasnt widely released down here. 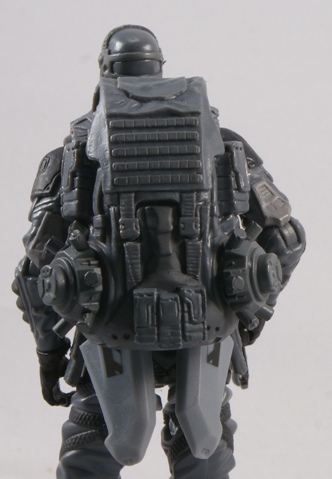 In regards to this figure; he looks like an anime character with his armour, weapons and helmet. But the brand will inevitably continue to join forces with different toy breeds such as Lego or role playing games so that it may continue to thrive as Kre-O or Battleground product before it sees its next action figure incarnation. Innovation and freshness may yet see a new day by then. I love the o-ring figures. They have a great range of articulation and they’re so easy to fix [except ninja force]. A couple of weeks ago when i was in Sydney for the collectables fair, i picked up about 40 ARAH figures [plus a Maggot, Stinger and Dreadnok cycle] 75% of what i bought needed some degree of repairs and i managed to fix them all in one sitting. The V1 Shortfuse i picked upped’s right arm broke off at the socket though. But the rest of him’s in really good shape. I’d willingly take broken o-rings over the tiny, rubbery hands, small feet/balance issues and easily lost heads of modern figures every day. I don’t care for the helmet’s design, but they needed to do something with Firefly. His standard look’s been done to death across 3 different eras. I hate the Goblin/Predator helmet. I love this figure, but I wish his arms weren’t quite so short and his legs and torso quite so long. The way you talk about the modern lines…it’s like you’re more excited about the crappy 2002-era figures, as well as the neon absurdity of late ’90s. God forbid Hasbro gives up a vintage-faithful Flint. 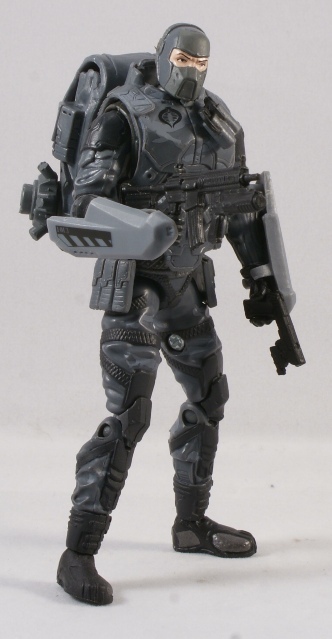 I can dig the futuristic armored re-imagining of Firefly. He did need to be considered from a new perspective, besides making him green. Looking back at PoC the last few posts, I guess I’d prefer more re-inventing and less re-treading in Joe at this point. Though the stuff in the concept case was good, too. Ahh, I’ll buy whatever they make as long as it’s cool. This design fits in with the 80’s sci-fi action movie theme of PoC, since everyone describes the helmet as Predator or Alien, or along those lines. It’s weird because it gives me the feeling I’ve seen it before, but I can’t place where. Good new body sculpt and accessories, too. I like the vest, the land mines, the new helmet, and especially his feet! Some kind of armored tennis shoes! Like Beachhead from a few days ago I’m surprised we don’t see these parts more often. I know the body was re-used pretty effectively as the CC Darklon a few years ago. I think it’s also the base figure for the Crimson Horseman? Overall, another strong showing for PoC. Nice looking figure. The only complaint I have is that the armor on the arms looks like it would get in the way of his hands. Maybe add some of his famous camo and there you go. Upon closer inspection, it does look like there is some camo on the dude’s armor. It’s just not very easy to see. Why the “shields up” response against someones opinions? I don’t think there is anything better about modern figures that sets them apart from any other style. I’ve seen more modern knee joints break when it comes to the kids as these modern styles are not designed with inter-playability in mind. It’s funny, a “vintage-faithful Flint” seems to be okay by your comment, but your kind of stuck in that 1985 mindset, the one where 1982-1985 was the only thing that ever happened. Give me some positive insight, Rtifishal.Intelegenz, point out the good points on Firefly here. Start pointing out more good points that stand out to you on the modern figures. Tell me why rehashing the same early ’80’s designs so “faithfully” is important to you.